Bottles in Strip Merchandiser are totally new fixture class by the look of it. 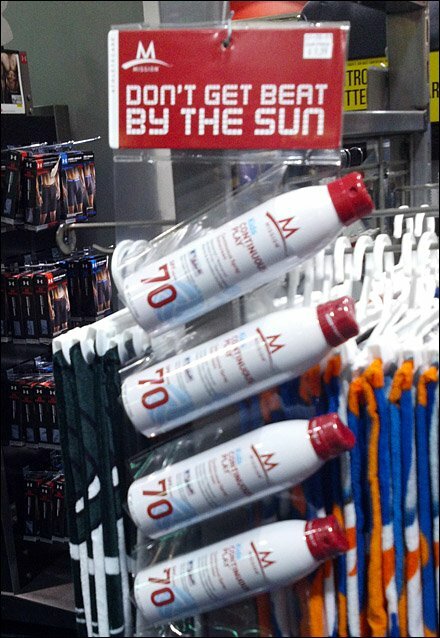 A series of pouches along a vinyl strip create pockets to display and vend aerosol sunscreen. What you have is literally a clear vinyl strip merchandiser for bottles and cans. 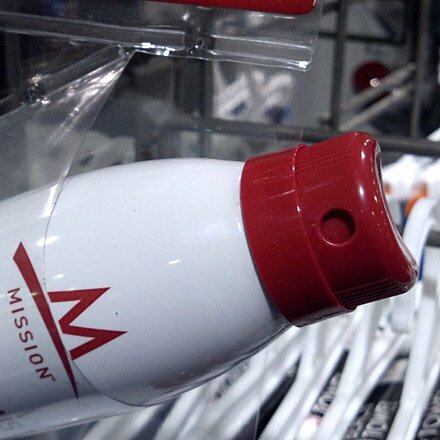 The clear material allows the bottle labeling to show through and sell itself. No longer need items stand on a shelf, they can be hung anywhere in the store. A great cross sell tool here. CLICK the thumbnail for a better look at these Bottles in Strip Merchandiser.